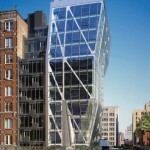 Japanese architect Shigeru Ban has completed the Metal Shutter Houses building in New York. 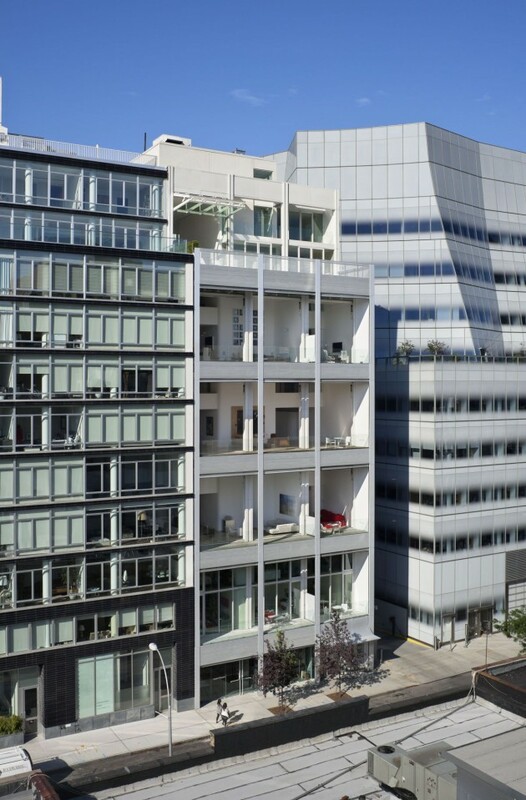 HEEA Development LLC is pleased to announce the completion of Metal Shutter Houses, a luxury condominium building designed by architect Shigeru Ban and his New York-based partner Dean Maltz, located in Chelsea’s art district, just west of the High Line. 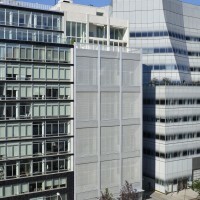 The building is at 524 West 19th Street, between 10th and 11th Avenues on New York’s ‘Starchitect Row’ next to Frank Gehry’s IAC Headquarters and across the street from Jean Nouvel’s 100 11th building. Metal Shutter Houses take its name from two distinct features, the shutters that cover the two major facades of the building and the creation of condos that feel like individual homes within one structure. 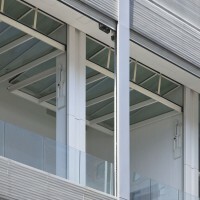 The building’s façade, with its “retractable skin” of motorized perforated metal shutters, echoes the after-hours shutters of neighboring galleries thereby contextualizing the building within its environment. 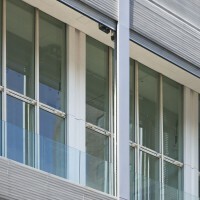 Its façade represents a uniform minimal cube when all of the shutters are closed and presents a number of dynamic patterns based the arrangement of open and closed shutters at each resident’s discretion. 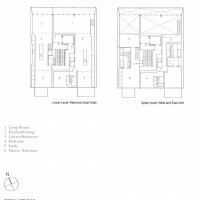 Each apartment has direct access from the lobby through a single elevator and is a floor-through duplex providing abundant light streaming in from both the north and south facades. 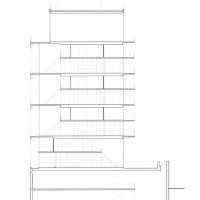 The double height exterior walls on the north façade apartments can be opened via sweeping floor-to-ceiling bi-fold doors thereby creating continuity between the interior space and outdoor terraces – blurring the boundary between inside and out. To achieve the complete opening of the apartment to the exterior Ban re-designed and newly adapted an industrial bi-fold door, commonly used in airplane hangars, and transformed it into an environmentally sound window wall. Ban, a recent recipient of the National Interior Design Award, known for his “poetic” architectural style, fully designed each home’s serene interior spaces. Instead of regular walls separating rooms, interior sliding glass doors create an open “universal floor.” The uninterrupted area, along with sliding glass doors to the rear balconies, creates a home that completely opens up to its surroundings. Other Ban features include cantilevering islands for the kitchens, curved countertops for the bathrooms, floor-to-ceiling white lacquer with matte finish cabinetry and custom designed hardware throughout each home. The building stands approximately 120’ tall and consists of eleven stories, featuring eight duplex houses ranging from1,950 sq. ft. to 4,644 sq. ft., an art gallery and a 24-hour doorman on at the ground floor lobby. 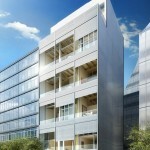 Although most of the units were sold prior to breaking ground, the recently finished penthouse has been brought to market for $12.95 million. 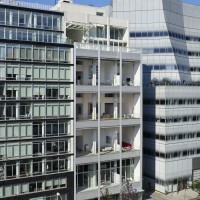 Visit Shigeru Ban’s website – here.